This marks the 7th anniversary of SnoBall and where GLRE got started. For 2019 we are currently limited in size as in the past. The 2019 SnoBall is the 7th Annual premier winter Raptor Run/driving experience. Some of the greatest memories and stories of Raptor adventures have been created during the past SnoBall’s. As in the 2016, 2017 & 2018 SnoBall we will be staying at a centralized hotel in the UP, the Island Resort and Casino. 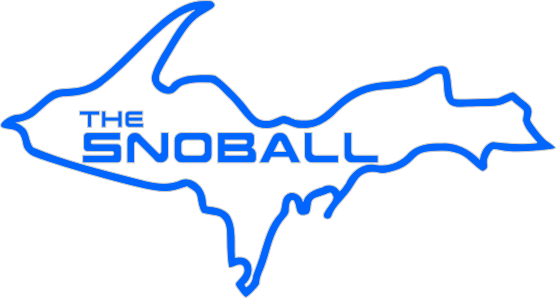 At the 2019 Snoball you and your Raptor will encounter everything that Mother Nature and the Upper Peninsula of Michigan can throw at it. There will be areas of two track roads, logging trails, forest service roads and country roads. These roads will have varying degrees of snowfall on them, from significant snow fall to minimal/scraped country roads. From the moment you put the SnoBall official placard on your truck you are in for one of the most unique and exciting weekends ever. This is not a race we will stay together as a pack and work as a team to insure everyone makes it to each destination. $525 -per Truck/Driver and Co-Driver: Includes 2 SnoBall sweatshirt/Jacket, The SnoBall Placards, and entrance into SnoBall closing event.